Association for Social Innovation and Sustainable Development RADAR, Journalists for Human Rights, First Children’s Embassy Megjashi and Green Institute at the press conference held on the occasion of the petition ZULA TOLERANCE ON AEROPOLUTION AND ABUSE OF THE RIGHT TO LIFE proposed emergency measures and demanded responsibility for the continuous air pollution. we are calling upon The Committee on the Rights of the Child to closely monitors implementation of the Convention on the Rights of the Child in the Republic of Macedonia and to urge the government to protect children life’s by overtaking measures for reduction of pollution and creation of enabling environment for realization of the children rights and potentials. The Republic of Macedonia, as a signatory of all international human rights protection documents, has an obligation to respect, protect and fulfil human rights. This obligation requires the state to undertake appropriate legal, administrative, budgetary, judicial and other measures in the direction of the full realization of human rights. In that direction, we call upon the state to fulfil the obligations regarding respecting the fundamental right, THE RIGHT OF LIFE, introducing measures for the reduction of pollution that directly affect the health of people and their lives. If we introduce measures for treating fuels, free or subsidized public transport, we also call the taxi companies to increase the price by 50% in the next three months as a measure for encouraging citizens to use public transport. The Prime Minister, the Ministers, the Members of Parliament, the Mayors and the Councilors, because they do not fulfil their obligation to provide conditions and environment for the realization of the right to life, should form a FUND for assistance and treatment of children from diseases caused by pollution by donating a part of their salary, which is the fee due to non-performing the work tasks, in the amount of 10-50% depending on the amount of income. If the Government, the Ministry of Environment, the City of Skopje and the municipalities do not start IMMEDIATELY by applying the proposed emergency measures for which they do not need additional preparation, within a week or until the 23 November 2018, they do not come with SPECIFIC and EFFECTIVE MEASURES, with help of the citizens who have knowledge about the problem, we will use all available international mechanisms, to remind the state that due to the lack of action and non-compliance with air pollution threatens the fundamental right of life. 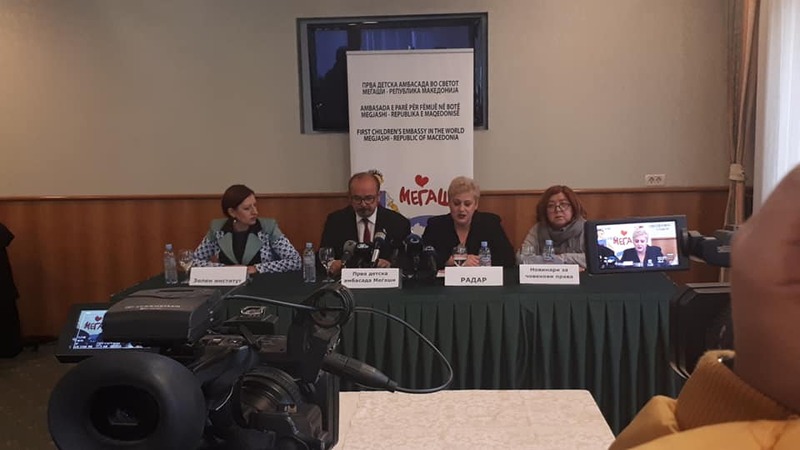 We call on all representatives of the international community who came to give us support for the referendum, to visit us again and give us support in the struggle for life and solving the air pollution problem in the Republic of Macedonia. A copy of this petition will be sent to all international organizations working both in the field of human rights and in the field of the environment. Signatures will be collected from 16-18.11.2018, and on 19.11.2018 we will hold a press conference in the premises of Hotel Karposh at 10:30. We use this opportunity PUBLICLY to invite the Government, the Ministry of Environment, the City of Skopje and representatives of all municipalities to join us at the press conference to hand over copies of the signed petition and proposed measures for systematic resolution of the problem.